Winter Solstice beckons us in closer to the hearth, closer to the family as well as closer to our most inner self. The year has been spent, for better or worse, we have sowed and reaped. Now feels like a time of caring for our deepest selves, our soul selves. It is nice to put some portion of the day towards tending and nourishing the well from which we drink. Regardless of the weather, I always like to spend some time outside on this day. Nature is the ultimate cathedral in which to worship. Incidentally, the custom of bringing evergreens into the home comes from long ago when people wished to signify to the nature spirits that they were welcome, that safe shelter from the cold and dark outside could be found in a home so decorated. This tradition of welcoming the nature spirits and being in relationship with earth is in disrepair and we can see the impact of this all around us. If you only manage one small ritual today, let it be a prayer for earth, a renewal of your connection with the wild and true home of all life. As I am writing this morning, it is raining in buckets where I live – so, it appears that I won’t get to do one of my cherished solstice rituals which is to look for my shadow as the longest shadow you can cast is at noon on the winter solstice. Instead, I’ll connect with the shadow within, recognizing the dark as well as the light that we all hold. When I meditate on the energy of winter solstice, I feel all the seeds snug in their earthen beds, deep below a shimmering blanket of fresh snow. Solstice at winter also feels like the pause at the bottom of the exhale, the ultimate exhale, really. Winter solstice is that moment –that precise moment before we begin to inhale, before the light begins to grow again. It is worth noting that some of the most profound healing in yoga happens in the pause between the breaths. Today is the Winter Solstice. We are always blessed, each with Winter Solstice, with the Ursids – the meteor showers that begin in mid-December and run through the 26th. These showers are named for the radiant point which is located in the constellation Ursa Minor- the little bear. The sky reminds us each year of the medicine of Bear, introspection and intuition blended with instinct. Bear medicine is about awakening the unconscious, like yoga. And, bear medicine is the power to restore harmony and balance – to heal. As we awaken and come to terms with the extent of Climate Change and so many living systems in disrepair and on the brink – remember the power we have to restore harmony and balance. It will take all of us, deeply committed to this aspect of our being, to begin and carry the great shift that is calling us. And the moon is almost full. In Cancer, the sign of nurturing and home. It’s magic y’all. Magic. There is no greater magic than being awake to the gift of Earth, her offerings, her beauty. Once you truly realize the magic of being on a small spinning blue and green ball, in a vast jeweled infinite sky – how can you not do everything in your power to protect this home, this life? I am wishing you a happy Winter Solstice. I am wishing you a holy Winter Solstice. I am wishing you some time to tend your soul, tend your patch of Earth, your family, your community. Awake to the magic and give thanks. This is one of my favorite times of the year. Earth is just so gorgeous, so giving, so profoundly nourishing of the body, mind and senses in late autumn/ early winter. The air is so fresh, prana is so abundant! With the cold as well as the shortening days and impending holidays, we are called inside – to both gather with friends and family as well as to look within and find some time for reflection. Many traditional and medicinal cultures witness this time as a time to work on the lung meridian, the large intestine and to work with the energy of letting go. We’ll be doing all of those things in the next few weeks in yoga as well as allowing the energy of gratitude to infuse all that we do, each breath, each action. Gratitude is a profound state of being – scientifically good for our body, mind & spirit. My teacher once said that “an attitude of gratitude is the highest yoga”. I think that you will love these next few weeks of yoga and find them to be a nourishing and uplifting antidote to the business of the season. I do hope you will join me. 12/10, 13 And what of letting go? Come or don’t come : no need to RSVP : there is always room for you, always space held with love. It is an honor & a privilege to experience the teachings together. as part of our 5 day immersion, we have two sadhanas and these sadhanas are open to all, to the community. you do not have to be part of the 5 day immersion to come and share in community sadhana with us and you can bring a friend. This is an invitation to join me in practices that will ripen the seed of your being, to support your life flowering in consciousness, intention and love. Our bodies are our temples. The living, breathing, loving worship of life happens in these temples. These temples of muscle, bone and blood, of pulse, sweat and tears, are where we live. The body is the temple of the soul. Our bodies hold the record of our greatest hopes and efforts, our dreams and loves and pleasures as well as our pain, our disappointment, our frustrations. That our bodies are the temples of our souls is at once beautiful and affirming as well as a responsibility. It is our responsibility to take care of this temple, to cleanse, to nourish, to revere and to purify. Each year, I design a practice for my temple to purify it of the energies of the preceding year. This practice is for both the physical body temple as well as the conscious and subconscious gates to the temple. Body, mind and spirit are purified in this practice. Each year, I also design a practice for myself that will prepare me for the coming year, allow me to vision my coming year and ensure that I have laid down a practice that will enable me to manifest my next level of being in the world. It has become an annual tradition for me to share my personal practice in 2 workshops. One that closes the year and one that opens the year. These workshops both stand alone in perfect integrity, should you feel called to just one of these aspects but they also work together cohesively to amplify both purification and manifestation. I would be so very deeply honored to share these practices with you and hope that you will join me. Purify the Temple will be on Saturday, December 30th from 2:00 – 5:00 pm at Asheville Yoga Center. This practice will be vigorous but accessible to all levels. Ring in Love will be on Sunday, December 31st from 2:00 – 5:00 pm at Asheville Yoga Center. This workshop is gentle, co-taught with Luna Ray and live music, with a chance to sing your coming year in with love and intention. From the alchemy of love made visible, the deep exploration of what we have to give, how we can give ~ we move. We move to the understanding that we are in fact awake and the world needs us more than ever before. How do we stay awake? How do we keep our practice alive, on and off the mat? For our practice is not about time in temples or exotic places, nor is our practice meant to be strictly formal: on mat or cushion only. Our practice is most alive in the company of others: streets, forests, community meetings, alleys and in action. Our practice is embodied when the nourishment we receive from movement and meditation and self-care becomes the light we shine in the world. We are living in an incredible time of personal, social, ecological, and economic imbalance. Now is the hard transition, the gaping edge, the time of the rubber meeting the road ~ maybe even the time of do or die. This flow is about balance in the midst of imbalance, about the essence of yoga: opening the heart ~ our own, and the heart of the world. This curriculum will nourish, strengthen and restore us, in harmony with the transition of winter to spring. And, every bit as important, this curriculum is about bringing your practice to a deeper level by placing it at the center of your life. In the same way that all freshwater rivers find the great salty ocean, your yoga longs to be real off the mat, to reach the hearts and souls and minds of the great sea of humanity. Your practice is longing to come alive, to be the gift that it fully is. Inspired by all the wisdom ways I have been gifted with so far, I invite you to join me. 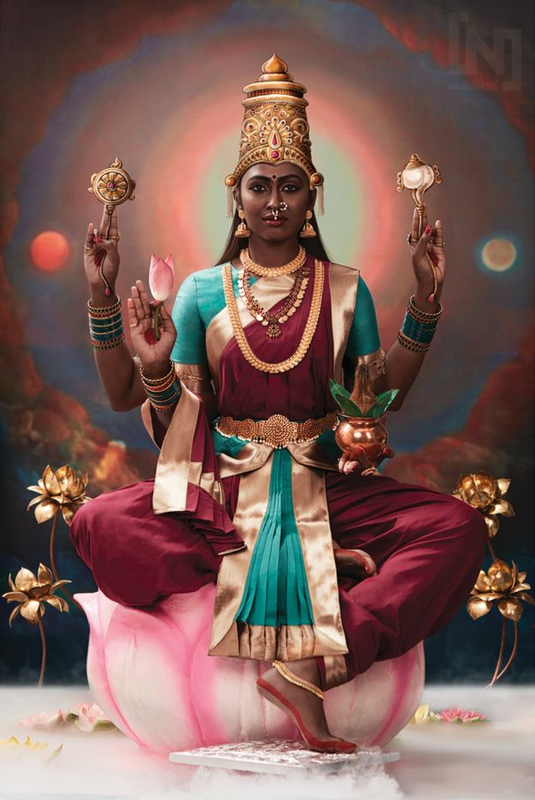 Using the ancient technology of Kundalini Yoga, the deep knowledge of my maha teacher, Yogi Bhajan, the insight of poets, mystics, teachers and leaders, we will continue the journey of the heart, the way of the true self ~ sharing the fruit of our practice in a world that hungers for love & truth & beauty. Now is the time. We are the ones. Let’s rise & serve in love. Standing Rock is Yoga. This is your invitation to practice. When I sit and journey to the center of my heart, I find there a deep and absolute love. In this place of deep intimacy—within the stillness and nectar of hiradaya, the Spiritual Heart—the intuition of who we are is said to reside. It is there that we can realize the presence of the ultimate Witness. The limitlessness of the Spiritual Heart is mostly beyond comprehension. It contains totality. And it is there that I discern that I must stand for Standing Rock. The struggle at Standing Rock has entered my heart in a way undeniable, creating a sharp pain where previously there was peace, and bringing tears as I witness what is happening there. The message is clear: Physically, emotionally and spiritually, I must stand—with resolve for those who protect our water, and for those who unite against oppression, injustice, and greed. And so, heeding the message of my heart, I traveled to Standing Rock in November. Standing Rock, North Dakota, is the frontline, opened up by the indigenous youth of the Standing Rock Sioux tribe. What is happening there deserves both your attention and your action. In spite of the Obama administration calling for a halt to all activity in the land that is in dispute, Energy Transfer Partners (ETP)—the company pushing for the pipeline (and standing to profit from its development)—has issued a statement saying they will continue to drill, and that this changes nothing. Standing Rock has been called a protest and a fight, and indeed it is. Far more than that, however, the elders at Standing Rock are standing in nonviolence, asking that all action be grounded in prayer and ceremony. As yogis, we may recognize this as the observance of ahimsa, the principle of nonviolence toward all living things. Standing Rock is a call to those who would protect our water, our earth, and our people against violence. In May of 2014, the proposed route of the Bakken Pipeline (the name of the entire length of the pipeline that will move millions of barrels of crude oil), was on a trajectory that passed 10 miles north of Bismarck, North Dakota. Due to widespread opposition from Bismarck’s 95% Caucasian population, the Army Corps of Engineers determined that the proximity of the pipeline to municipal wells and protected wetlands and grasslands would pose too great an environmental threat in the event of a spill. The Bismarck route was determined by federal regulators to be a “high consequence area,” and the plan was rejected. By September of 2014, the Army Corp of Engineers had re-filed their application to cross the Missouri river—with that section of the pipeline, and the portion currently at issue, now known as the Dakota Access Pipeline, or DAPL. ETP kicked off their public relations campaign for the new route with a press release citing their own in-house study that claimed that the DAPL could have positive economic and fiscal impacts across the four-state region of this section of the pipeline. The rerouting of the pipeline places the water of the Standing Rock Sioux tribe at perilous risk in the event of a spill. The tribe was quick to point this out in their response to a February 2015 letter from the Corps that initiated the permitting process. The tribe also pointed to recently discovered and protected sacred burial grounds that pipeline digging would disturb. The Army Corps of Engineers did not respond to their letter. By September of 2015, neither independent archaeological study nor the Environmental Impact Study required by the Environmental Protection Agency (EPA) had been initiated. Then in December of 2015, the Army Corps hired a non-tribal consultant and published their own “environmental assessment.” The EPA, the Department of the Interior, and the American Council of Historical Preservation all sent letters to the Corps critical of that assessment. Other tribes then began voicing their own concerns, stating that they had not been appropriately consulted about the presence of traditional cultural properties, sites, or landscapes vital to their identity and spiritual well-being that the pipeline would disturb. On April 1, 2016, the Standing Rock Sioux established Sacred Stone Camp at the mouth of the Cannonball River, a few miles from where the pipeline proposes to cross the Missouri River. They erected tipis in the snow, and prayed for allies to help them defeat the DAPL. On April 22, 2016, the Army Corps determined that no historic properties would be affected. In response, young people—native and non-native alike—ran a 500-mile spiritual relay from Cannonball, North Dakota, to the district office of the Army Corps in Omaha, Nebraska, to deliver a unified statement of resistance against the construction of the pipeline. Despite this, in July the Army Corps proceeded to issue the majority of the permits required for the construction of the entire pipeline project, and construction began in all four states. The Standing Rock Sioux immediately filed an injunction against the Army Corps asking for further environmental impact studies and archeological assessment. ETP responded with notification of their intent to begin drilling at Lake Oahe, despite lacking the permits for that particular section. It is important to note that the American government has a long history of seizing native lands when valuable resources are discovered there. Because the scope of that history is far too great for this article, I urge you to inform yourself about this important part of America’s history. Particularly relevant here is that the land in question was granted by the Treaty of Fort Laramie (ratified in 1851) to the Ogallala, Miniconjou, and Brulee bands of the Lakota people, as well as to the Yanktonai Dakota and the Arapaho Nation. Fast forward to the present day. Despite a pervasive nationwide media blackout, news of the native struggle against Big Oil’s DAPL has spread—throughout the country and around the world. The Standing Rock Reservation has quickly become the largest gathering of indigenous peoples in the history of our nation, with more than 300 recognized tribes represented—from Hawaii to Alaska and around the world. With non-native participation, including the arrival of more than 2,000 veterans during the weekend of December 4, it is estimated that the population of the camp is now close to 15,000. Most of these individuals, I would imagine, have looked into their own deepest hearts and heard the call to stand against the violence of both a multinational corporation and our own government. I understand, of course, that those who would perpetrate this travesty need our compassion and our love. It is only because our species has so lost touch with nature that it can do what it does to the earth and to each other. Perhaps I stand in the minority, but I have always felt that the essence of our practice of yoga, meditation, and contemplation is an invitation to awaken to our deepest and truest nature—an invitation to step onto a path where we walk as the highest embodiment of personal and universal love, kindness, and compassion. In discerning what I felt my heart was telling me, I turned to the Yoga Sutra, the Bhagavad Gita, and the Upanishads. What I found there—the imperative of personal and public morality—is also echoed in the Ten Commandments of Judaism, the Five Precepts of Buddhism, and the Eight Beatitudes of Christianity. The Bhagavad Gita tells us that “Man is made by his belief. As he believes, so he is.” I believe that to refuse to protect the water, and to abandon our Mother Earth and our relations, is to turn away from my own deepest heart and more than 25 years of yoga and meditation. By visualizing your heart as a lotus flower, you can begin to create a safe, comfortable place for your mind to settle. s from asana practice to Pranayama, chanting, and meditation. The following meditation focuses the awareness on the seat of one’s lotus heart. For some, this will be a very natural sanctum to rest the awareness. Others may observe that the restless nature of the mind does not subside so easily. This meditation serves two purposes: First, to learn to focus the mind on any object as an internal seat, and second, to receive the healing benefits of being connected to the heart as a place of unconditional love. To begin, find a comfortable posture for meditation (seated on a cushion or blanket, in a chair, or against a wall). You may find it helpful to set a timer for 10, 20, or 30 minutes so you can deepen your meditation without wondering about the time. You may also want to gently ring a bell at the beginning and end of your meditation. Place your hands on your knees in Jnana Mudra (index and thumb touching), with palms facing up to open your awareness or palms facing down to calm the mind. Scan your body and relax any tension. Let your spine rise from the base of the pelvis. Draw your chin slightly down and let the back of your neck lengthen. Now plant the seeds for meditating on the lotus of the heart. As you inhale, draw your awareness from the base of the pelvis to the center of the chest. As you exhale, concentrate on the sensations that you feel in your chest. Stay with those sensations and allow your awareness to deepen. Do you feel heat, tingling, lightness, density, tightness? As you inhale, breathe into your heart. You may choose to stay with visualization of the lotus or you may focus on the sensation of an expanding heart. When feelings arise, allow them to pass through you like the changing light of the day, or imagine them resting on the flower like water on its petals. Dwell inside the lotus of your heart, feeling the qualities of unconditional love emerge. 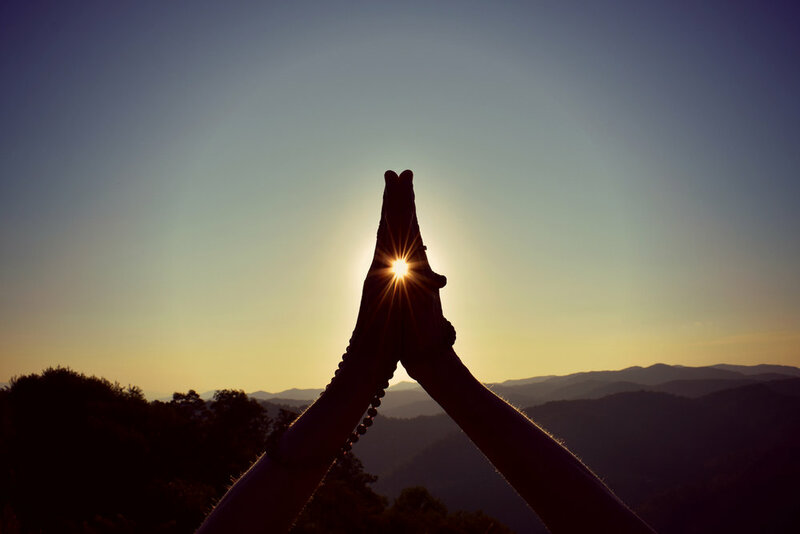 When you are ready, bring your hands together inAnjali Mudra (Salutation Seal)and complete your meditation with a moment of gratitude, reflection, or prayer to integrate the energy of your meditation into your life. You can bring your awareness to your heart anytime throughout the day to come back to the seat of unconditional love. Last night, I spent my winter solstice in the Swannanoa Women’s Correctional Facility, sharing the practice of yoga. And while it was different than every other winter solstice celebration of my life so far, it was beautiful and perfect and right where I needed to be. And because we are all one, because the only way to understand anything is through compassion, I would like to share 10 facts about incarcerated women. I am paraphrasing from an article that was originally authored by Becki Ney, a Principal with the Center for Effective Public Policy (CEPP) and Project Director of the National Resource Center on Justice Involved Women (NRCJIW). If you would like to read the original article please follow this link. 1. Women pose a lower public safety risk than men, typically entering the criminal justice system for nonviolent crimes that are often drug and/or property related. As well, once in the system, incidents of violence and aggression by women are extremely low and women released from incarceration have lower recidivism rates than men. 2. Women entering the criminal justice system are much more likely to have experienced poverty, intimate partner violence, sexual abuse, and/or other forms of victimization often linked to their offending behavior. As well, Women are much more likely to have co-occurring disorders- in particular, substance abuse problems interlinked with trauma and/or mental abuse. 3. Women’s engagement in criminal behavior is often related to their connections with others- relationships are often paramount for women and their exposure to dysfunctional and abusive relationships can elevate their risk for victimization and the perpetration of violence. 4. Women entering jails and prisons overwhelmingly report histories of victimization and trauma and continue to be vulnerable within correctional settings. 5. Corrections policies and practices have been developed by managing men, not women. 6. Jail and prison classification systems can result in unreliable custody designations and over classification of female inmates. 7. Women have different risk factors than men- including depression, psychotic symptoms, housing safety and parental safety- all related to their criminal behavior. 8. Women are more likely to respond favorably when correctional staff adheres to evidence-based, gender-responsive principles. Understanding trauma and its effects on women, using trauma informed strategies when interacting and engaging in cognitive problem solving with female inmates has been shown to enhance facility safety and security for staff and inmates alike. 9. Transition and reentry to the community can be challenging for women. Women are more likely than men to have primary child-rearing responsibilities and are often single parents. Women report greater levels of poverty and less employment history preceding incarceration. Finding safe housing where women can live and support their children is very challenging. 10. The cost of women in criminal justice is high- given what we know: low risk, parental responsibilities and significant needs- and strategies we can employ to improve outcomes- we can understand that we are failing this population when we understand that 60% of women released are re-arrested. The negative impact of involvement with the criminal justice system has- besides the direct cost of incarceration- a generational impact as the children of female offenders are 5 times more likely to become involved in the criminal justice system. Quite simply, we can do better than this. Another yoga teacher posted a poem by Margaret Atwood as her caption for a winter solstice themed photo. I share it now as it inspired the practice that I shared last night as well as spoke to me about where we are now, not only with the criminal justice system, but with everything. Personally and collectively- is there a difference? This review originally ran on Yoga City NYC's page . Check out their "Must Read Book Club". Sierra Hollister: Strand’s book is about our relationship to the dark, to the organic night without artificial lighting. It's about the consequences of not having the dark and how this is impacting not only our health, but also the health of our planet. It's a fairly quick and easy read and I found myself reading out loud, to whomever might be in the room as it was always fascinating enough to share. YCNYC: What one person would you recommend this book to? SH: Humphry Davy, the creator of the first electric light in 1800. YCNYC: What moment or part resonates with you the most? SH: My favorite part of the book might be where he quotes from the Song of Songs- “I sleep, but my heart is awake”. This section of the book is about the time between what Strand refers to as “our two sleeps”. This was the time when we would turn to our beloved and share ourselves or perhaps turn inward and communicate with the divine from our deepest selves. There was no real fear of the dark as the dark was natural, part of the cycle and full of love and the mystical. This book is full of eloquent reminders of what our hearts know, what our souls know but what we have lost in our modern, busy lives. Reading this book has been an affirmation, moment after moment of remembering what I know in my deepest self: that the natural world holds the key to our wellness in more ways than we can begin to guess. You can purchase Waking Up to the Dark, Ancient Wisdom for a Sleepless Age here. Have a Must-Read book to recommend? Email us here. I’ve been asking myself how we became the people who let Shell get into the Arctic. How did that happen? How will we ever justify that to future generations? That Shell has made it this far has been keeping me awake at night. And the bitter truth is that I did not do enough on this issue. Not enough letters, not enough phone calls, not enough discussion. Not enough. But there is good news: we’ve been given a second chance to protect the Arctic. Obama’s green light for Shell will not stand in court- there is a permitting requirement that prohibits drilling operations in the waters off Alaska to be within 15 miles of each other. Shell has plans for 2 wells this summer, about 9 miles apart. Earthjustice has filed suit on behalf of a broad group of Alaska native organizations and conservation groups challenging the adequacy of the agency’s environmental impact statement. You can learn more about the groups involved in the suit and the suit itself by checking out this link . In the meantime, let’s pull out all the stops- let’s do whatever it takes to not sacrifice the Arctic. Not to Shell and not on our watch. Please call President Obama and tell him “SHELL NO, Arctic drilling is too risky to allow. Our job is to protect the only Arctic we have!” Call Obama at 202-456-1111 and tell him to please rescind the approval for Shell to drill in the Arctic. Please make the call. The White House comment line looks for brief and succinct comments. If you want to get into deeper talking points, consider taking a look here. In addition to calling (time is of the essence), you can sign a petition with Greenpeace here. Consider sharing this post, encouraging others to make the call- we’re all in this together. The Arctic belongs to all of us and has far more value undrilled than drilled. here you will find support for continuing the practice of the Guru Gaitri Mantra and the meditation to embody the 3rd sutra. the third sutra is "when the time is on you, start, and the pressure will be off"
a sutra is a thread or knot. sutras are dense, sometimes just a few words, sometimes 2 or 3 short sentances. a sutra is meant to be "unpacked" with a teacher. we sit with the sutra, turn it over in our minds, discuss it & attempt to live it. the meditation is sweet & simple. take a comfortable seat- perhaps easy pose. spine is straight, eyes are closed, no specific mudra. chant the mantra: Gobinday, Mukanday, Udaaray, Apaaray, Hariang, Kariang, Nirnaamay, Akaamay. this mantra is considered the 8 names of the divine & can be translated: sustainer, liberator, enlightener, infinite, destroyer, creator, nameless, desireless. chant & focus on the sound for 11 minutes. this meditation is said to bring stability to the hemispheres of the brain & works on the heart center to develop compassion, patience, & tolerance, uniting one with the infinite. it is noted for the capacity to break through deep-seated blocks.